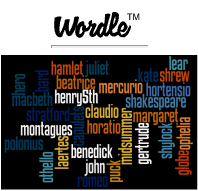 Free images from lots of reliable institutions. Kinda expensive, but good images. LIFE magazine photo archive hosted by Google. Digital images of all things cinematic (actors, Oscars programs, menus, costumes, set photos, scripts, etc.) Lots of great images from Hollywood. Digital images from California institutions. Be sure to search for FREE images only! Bazillions of free clip art images! Design tool to create or customize any image. This free online image Web Resizer helps you optimize photos for web or email. Easy to use. Amazing results! Super easy and super powerful photo editor! Online photo editor - nice features! Create interactive images, videos, and 360 content. Create huge, print-at-home posters from your own images. Create posters, flyers, social media graphics. Thousands of templates, free downloads, easy tools. Use this image generator site to create motivational posters, movie posters, magazine covers, etc. Lotsa fun! Make any picture "talk" with a moving mouth! 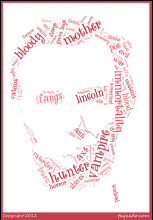 Create word clouds in shapes like this one I made for the book "Abraham Lincoln, Vampire Hunter"
Copyright-free music & sound effects to use for presentations, etc. Audacity® is free, open source, cross-platform software for recording & editing sounds.